The next big trend in technology? Dancing robots. Yup. Sorry. It's fate. It's out of our hands. 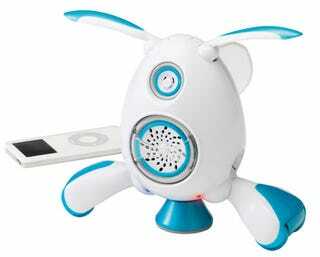 Like this Sega Toys i-spin, it either dances to ambient music or hooks to your MP3 player as a speaker—I mean, how will this not be the next consumer electronics revolution? After all, it dances. To music. So one day when we're sitting in goo to power the robots, it'll be for this, a coupla Sony Rollies and, if we're lucky, one of those gyrating Coke cans from the early 90s. [i-spin] Thanks Ken!